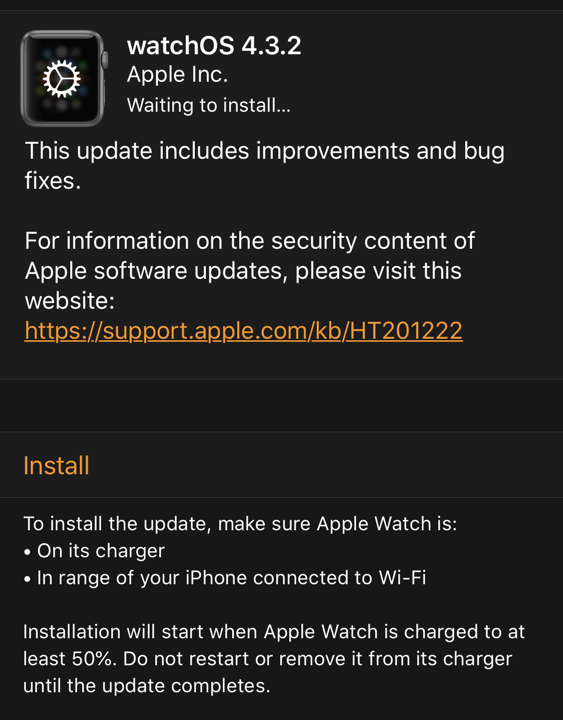 Apple has historically done a good job of letting you know when there’s an update to the operating system of your Mac, your iPhone, iPad or whatever other Apple devices you may have. 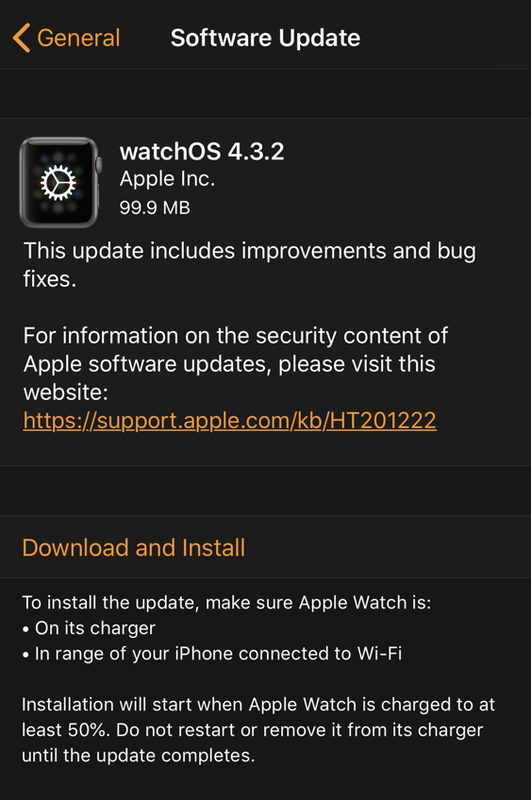 Apple Watch, however, is a slightly different beast as the watch itself doesn’t seem to have the ability to reach out to the Internet and check on version numbers, and the app is surprisingly discrete about possible updates too. Which means that for a lot of us Apple Watch owners, we’re kind of on our own to remember and check for those updates sporadically. Fortunately, it’s just a few taps in the Apple Watch app on your iPhone, you just have to remember to check! You can see that on this particular Apple Watch, I’m running version 4.3. But is there a newer version? Time to upgrade from 4.3 to 4.3.2, apparently. This suggests that I completely missed 4.3.1, but we’ll just ignore that issue. 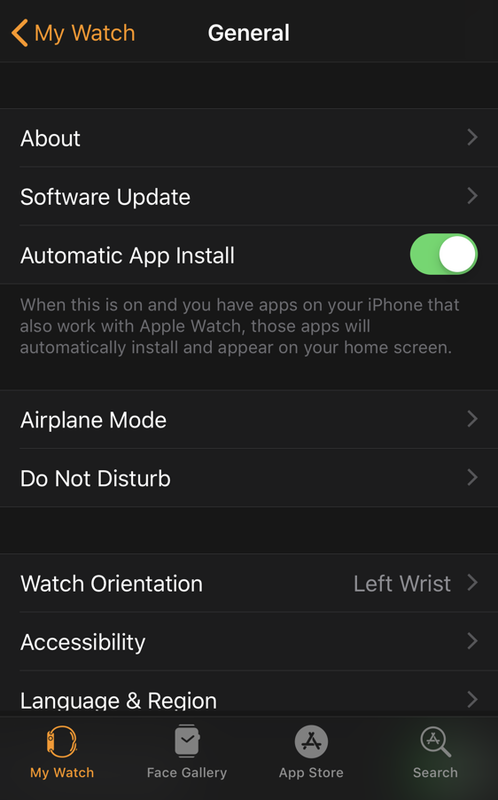 To actually upgrade your Apple Watch, tap on “Download and Install“, the orange link half-way down the screen. The download takes a while (and it’s under 100MB, go figure), but where you’ll have time to get a cup of tea is when it actually does the install and update. Ready to proceed? Tap on “Install“. Fine, fine. Drop your Apple Watch onto its charging stand or otherwise make sure it’s connected to its charger. 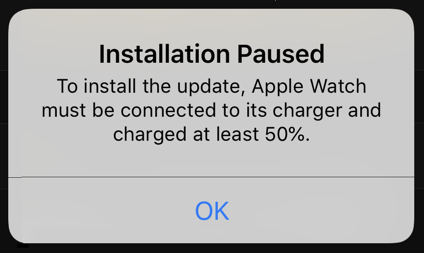 Does it have more than a 50% charge? Then you can tap “OK” to proceed! Mission accomplished! At least until the next update. Pro Tip: Have an Apple Watch? Of course you do, if you’re reading this! But did you know we have lots of Apple Watch help here on the site? Please check it out while you’re here.